Moving home is a tedious and usually a very stressful process. This is since its only done every now and then. 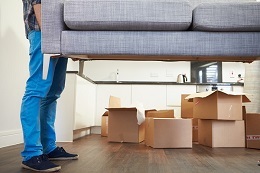 The number of items and furniture can be difficult to pack and dismantle. DLM Removals & Storage provide dismantling and packing services with any interstate move. Some of the most important things to prepare for when moving are organising what and how to pack certain items. Items can be easily broken if not packed properly. 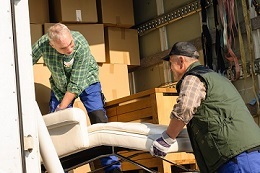 This is because when furniture and goods are transported on a truck, the roads create friction in the loads that can cause items and goods to be damaged or broken. The steps required with any move include creating a list of items that will be loaded. Loose items should always be packed into boxes and kitchen ware should always be packed using butchers paper. A list is necessary for DLM Removals & Storage to organise the amount of space required on a truck for an interstate move. A list of furniture and boxes will ensure that we know what belongs to you and will avoid any confusion when delivering your goods. When packing your move, it's important to label every item. A list and labelling will help ensure all your goods are delivered without any missing items. DLM Removals & Storage can provide labels and packing supplies at additional costs. Packing is an essential part of any more. Visit our packing tips and recommendations page for more information. Home furniture comes in all shapes and sizes. DLM Removals & Storage interstate removalists are experienced and trained to handle all types of furniture. We load and unload your furniture goods with care. A door to door interstate removal service for home or office furniture. Helping you get organised and taking care of all the hard stuff! DLM Removals & Storage provide office furniture removals. We will empty the office with all your furniture and load it into a truck for a safe and secure transportation of office furniture goods. This is done by a three-step process. Pack, wrap and stack. DLM Removals & Storage use special removal pads to ensure any friction while traveling is between the pads and not the furniture. Minimizing any damage or broken items.